I just got a TWO YEAR work visa! I got some amazing news on Friday, June 20th, 2007. The work visa I have been waiting for was finally approved for TWO YEARS! This is such a relief, as I was expecting to have to renew it every six months. I can actually plan things now, like vacations, concerts and I may even consider purchasing some things for my apartment now! I need to treat myself and celebrate - I'm not sure the best way to do that, but with my birthday coming up soon and the big gallery closing night coming up, I am sure the next week or two will be amazing! I am currently getting the final paperwork together and will be applying for permanent residence. I can't wait any longer - this is the once in a lifetime chance to do this and having the two year visa is so helpful - it actually gives me extra points on my application. I get asked lots of questions by people about permanent residence, so here is a quick explanation of the timetable! As I have a two year visa now, I am hoping my permanent residence status will happen before the two years are up! Once I am a permanent resident and after another 3 years I can then apply to be a Canadian. 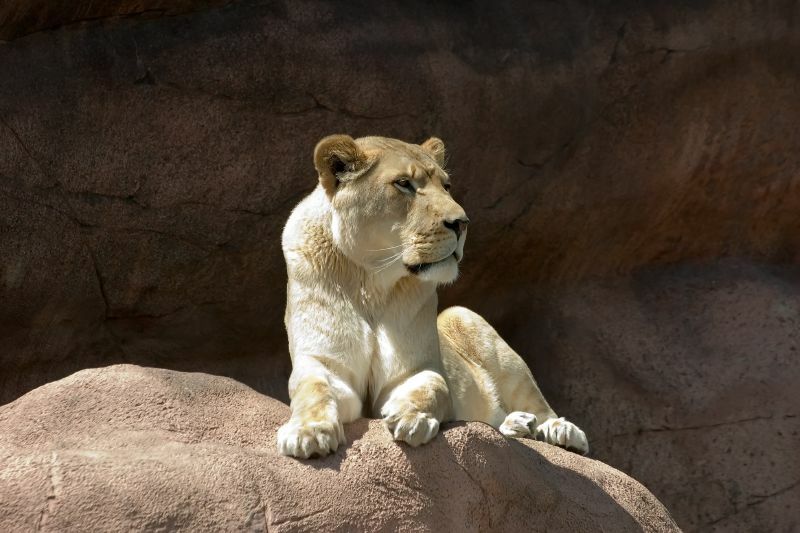 The photograph below is of a lioness at Toronto Zoo, relaxing in the sun. It was the closest photo I could find to how I feel right now. :) Very content and happy to be here! I am made up for you - this is your dream and your chance, go for it. Seems to me all you need to complete things is a gorgeous Canadian babe and all will be well with the world.